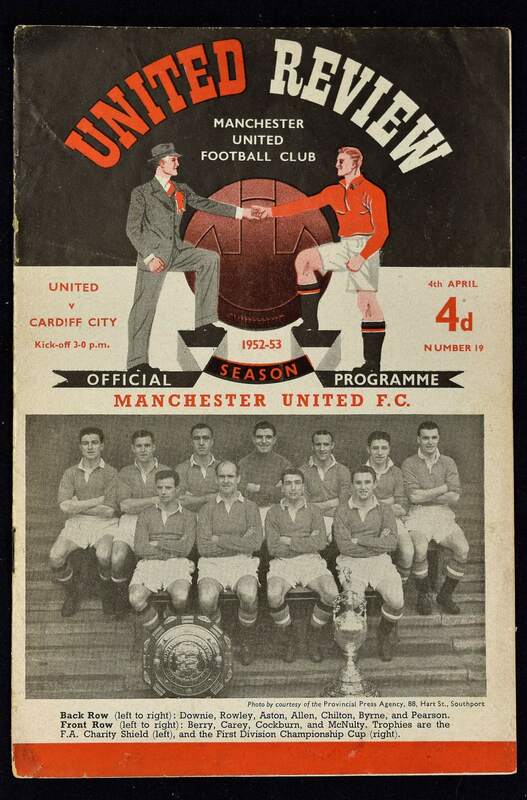 1952/1953 Manchester Utd v Cardiff City No. 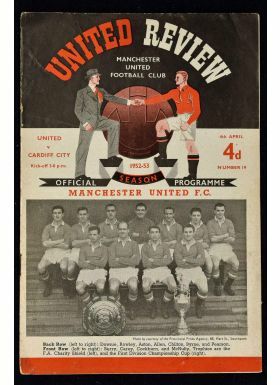 19 dated 4 April 1953 match programme. Duncan Edwards debut match for United. Good, has team changes, view to assess.